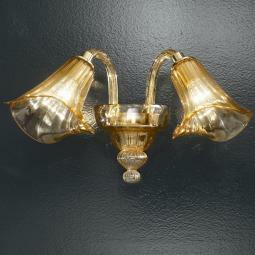 Wide selection of Murano glass sconces. Our products are all handmade from authentic Masters blowers of Murano. Can be customized either in the form, which in size, according to your needs. 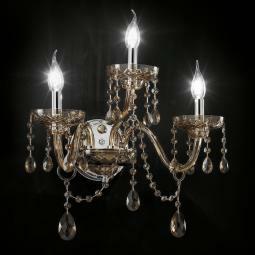 "Bassanio" Murano sconce, hand made by authentic Masters glassblowers from Murano.Made on demand. The dimensions and the colors can be customised to individual specifications.Worldwide shipping and total insurance coverage. 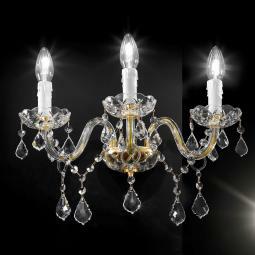 "Boccioni" venetian crystal wall sconce, genuine product made in Italy.Made on demand. The dimensions and the colors can be customised to individual specifications.Worldwide shipping and total insurance coverage. Asfour or Swarovski pendants available. 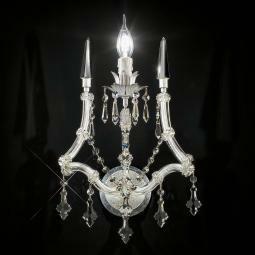 "Botticelli" venetian crystal wall sconce, genuine product made in Italy.Made on demand. The dimensions and the colors can be customised to individual specifications.Worldwide shipping and total insurance coverage. Asfour or Swarovski pendants available. 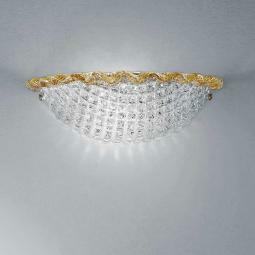 "Brindisi" venetian crystal wall sconce, genuine product made in Italy.Made on demand. The dimensions and the colors can be customised to individual specifications.Worldwide shipping and total insurance coverage. 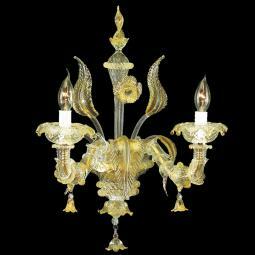 "Cabiri" Murano sconce, hand made by authentic Masters glassblowers from Murano.Made on demand. The dimensions and the colors can be customised to individual specifications.Worldwide shipping and total insurance coverage. 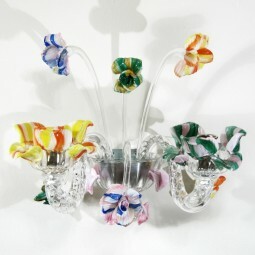 "Calypso" Murano glass sconce, hand made by authentic Masters glassblowers from Murano.Made on demand. The dimensions and the colors can be customised to individual specifications.Vacuum-packing, worldwide shipping and total insurance coverage. 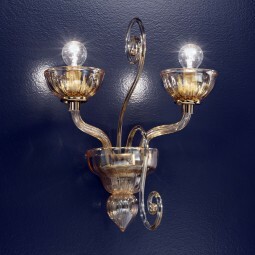 Wall Sconce in classic Venetian style, embellished with gilded finishes, hand made by authentic Masters glassblowers from Murano.Made on demand. The dimensions and the colors can be customised to individual specifications.Vacuum-packing, worldwide shipping and total insurance coverage. 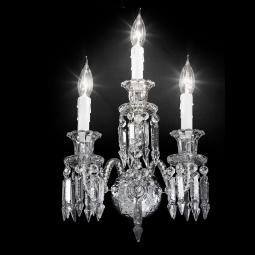 "Canaletto" venetian crystal wall sconce, genuine product made in Italy.Made on demand. The dimensions and the colors can be customised to individual specifications.Worldwide shipping and total insurance coverage. 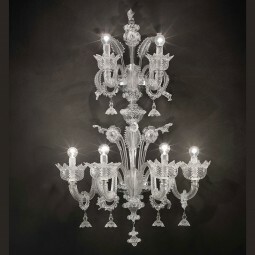 "Canuti" venetian crystal wall sconce, genuine product made in Italy.Made on demand. The dimensions and the colors can be customised to individual specifications.Worldwide shipping and total insurance coverage. 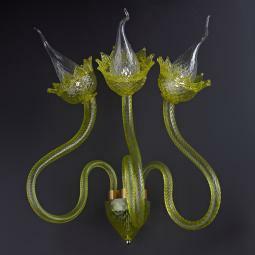 Casanova Murano glass sconce with rings, hand made by authentic Masters glassblowers from Murano.Made on demand. The dimensions and the colors can be customised to individual specifications.Vacuum-packing, worldwide shipping and total insurance coverage. Casanova "special" Murano glass wall sconce with rings, hand made by authentic Masters glassblowers from Murano.Made on demand. The dimensions and the colors can be customised to individual specifications.Vacuum-packing, worldwide shipping and total insurance coverage. 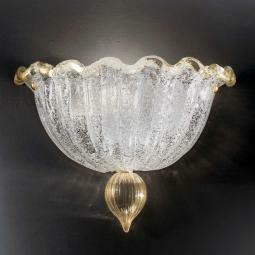 "Cattaneo" venetian crystal wall sconce, genuine product made in Italy.Made on demand. The dimensions and the colors can be customised to individual specifications.Worldwide shipping and total insurance coverage. 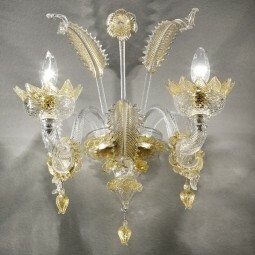 "Cerere" Murano sconce, hand made by authentic Masters glassblowers from Murano.Made on demand. The dimensions and the colors can be customised to individual specifications.Worldwide shipping and total insurance coverage. 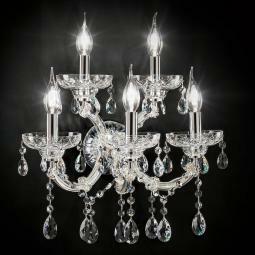 "Cima" venetian crystal wall sconce, genuine product made in Italy.Made on demand. The dimensions and the colors can be customised to individual specifications.Worldwide shipping and total insurance coverage. 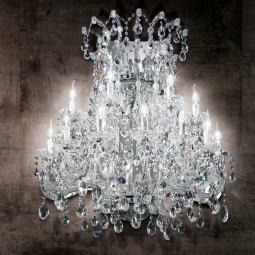 "Cimabue" venetian crystal sconce, genuine product made in Italy.Made on demand. The dimensions and the colors can be customised to individual specifications.Worldwide shipping and total insurance coverage.Asfour or Swarovski pendants available. 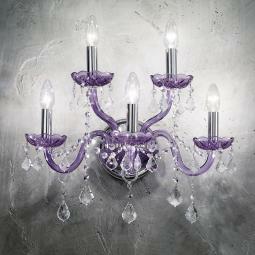 "Cinzia" Murano sconce, hand made by authentic Masters glassblowers from Murano.Made on demand. The dimensions and the colors can be customised to individual specifications.Worldwide shipping and total insurance coverage. 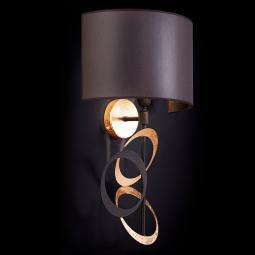 "Circe" Murano sconce, hand made by authentic Masters glassblowers from Murano.Made on demand. The dimensions and the colors can be customised to individual specifications.Worldwide shipping and total insurance coverage. 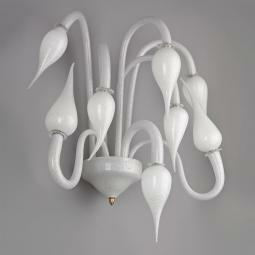 "Claudia" Murano sconce, hand made by authentic Masters glassblowers from Murano.Made on demand. The dimensions and the colors can be customised to individual specifications.Worldwide shipping and total insurance coverage. 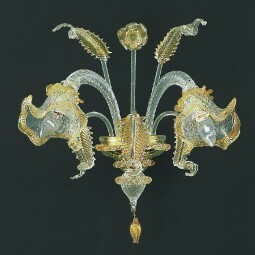 "Conchiglia" Murano sconce, hand made by authentic Masters glassblowers from Murano.Made on demand. The dimensions and the colors can be customised to individual specifications.Worldwide shipping and total insurance coverage. 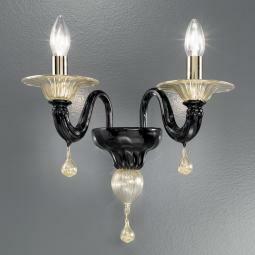 "Corinne" Murano sconce, hand made by authentic Masters glassblowers from Murano.Made on demand. The dimensions and the colors can be customised to individual specifications.Worldwide shipping and total insurance coverage. 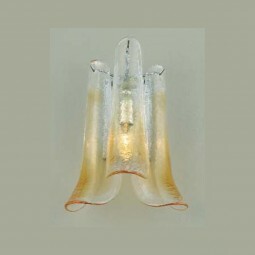 Cristallo Murano glass sconce, hand made by authentic Masters glassblowers from Murano.Made on demand. The dimensions and the colors can be customised to individual specifications.Vacuum-packing, worldwide shipping and total insurance coverage.